The evolution from project concept to completion is explored in an exhibition honoring an architect known for challenging popular convention. This past Saturday, the National Building Museum in Washington, DC, opened “Zaha Hadid Laboratory,” an exhibition of 11 of the architect’s most recent projects, many of them in various stages of construction. The exhibition is on view through November 17, and Hadid is scheduled to lecture at the museum on November 6. 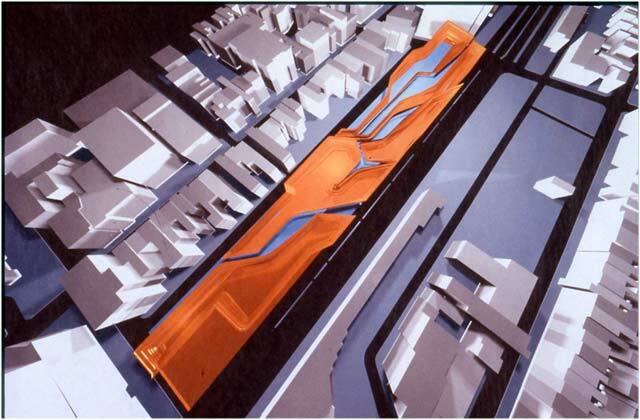 If there’s a proper name to put to the word “irony” in architecture, it just might be Zaha Hadid. The London-based architect has projects in almost every corner of the world – except the UK (other than her 1999 Mind Zone exhibit at the Millennium Dome, and earlier this year she made the shortlist of star architects to master plan the Bishopsgate Goodsyard site in London). The irony? In June, Hadid was awarded the title CBE (Commander of the British Empire) for her contribution to architecture. In a profile called “Zaha Hadid: Everywhere Else But Here,” Jay Merrick, architecture critic for the UK’s Independent newspaper described her as “one of the world's most intriguing architectural talents.” The New York Times architecture critic Herbert Muschamp recently said of Hadid, “As a pure virtuoso of design, she has no living rival." Through drawings, colorful field paintings, models, and three-dimensional computer images and animations, the process of taking her often-controversial concepts to completed environments is better understood. 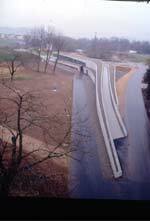 Among these is her first American project, the Rosenthal Center for Contemporary Arts in Cincinnati, Ohio. The building, scheduled to open next year, hosts a variety of spaces to deeply engage the visitor. 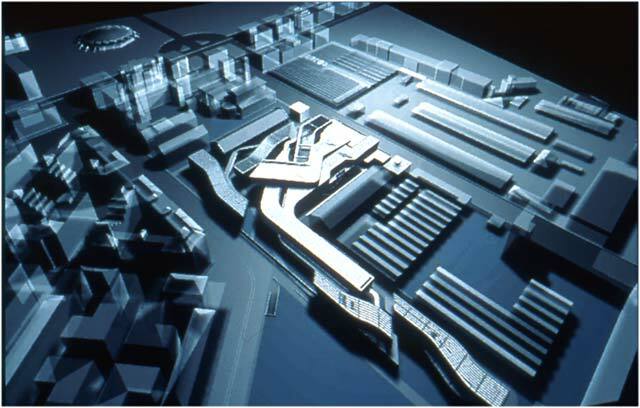 Hadid views it as an “urban carpet that takes the street grid of the city and pulls it into the Center.” In her design for the Center of Contemporary Art in Rome, Hadid uses dynamic lines and forms, consistent as in all her projects, to suggest fluid movement and what she has described as "a porous organism.” Other projects represented in the show include the Car Park and Terminus Hoenheim-Nord in Strasbourg, France, the Bergisel Ski Jump in Innsbruck, Austria, and other work in Europe, North America and Asia. 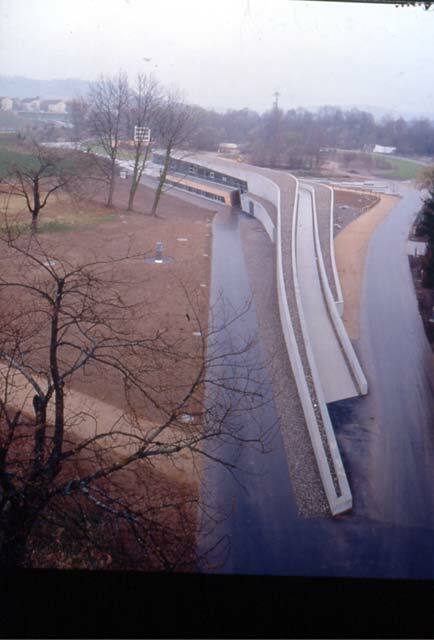 In addition to the demands of current projects spread over three continents, Hadid recently completed a term as the Eero Saarinen Visiting Professor at the Yale School of Architecture, a post she also held two years earlier. Ever challenging popular convention, Zaha Hadid stands out as the only female independent practitioner among today’s most elite architects. Born in Iraq in 1950, Hadid received her degree in mathematics from the American University in Beirut and studied at the Architectural Association in London where she won the Diploma Prize in 1977. 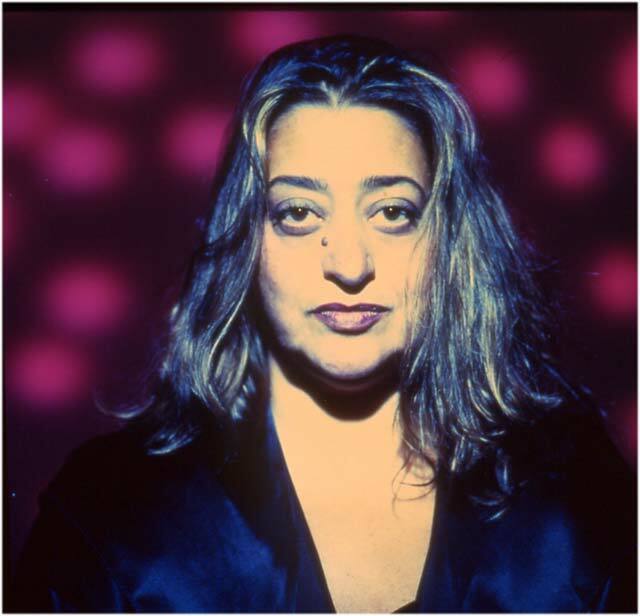 Upon graduation, Hadid became a partner at the Office of Metropolitan Architecture where she worked with influential architects Rem Koolhaas and Elia Zenghelis. 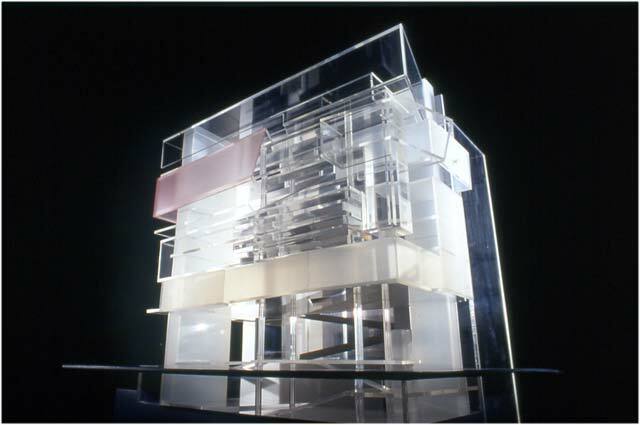 Establishing her own practice in London in 1979, she soon gained international attention with her controversial plan for the Peak International Design Competition for Hong Kong in 1983. 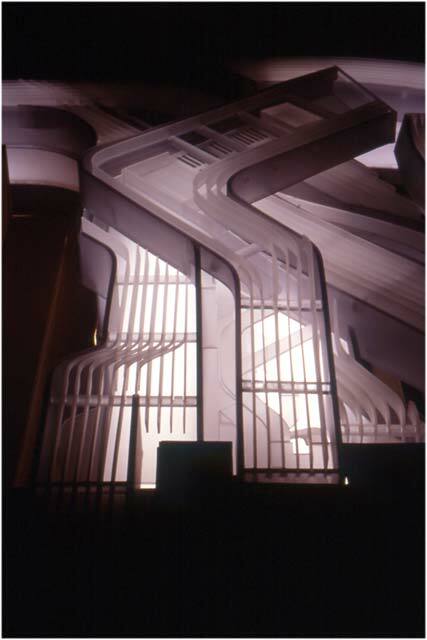 Although the project exists solely on paper, its experimental design with floors soaring off in different directions solidified Hadid’s reputation for exploring the expressive capacity of form and carefully analyzing designs from multiple angles. 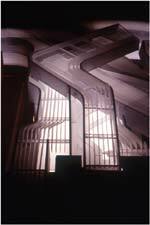 Throughout the 1980s she produced many paintings and award-winning designs, and was the only woman included in the Museum of Modern Art’s 1988 Deconstructivist Architecture exhibition. 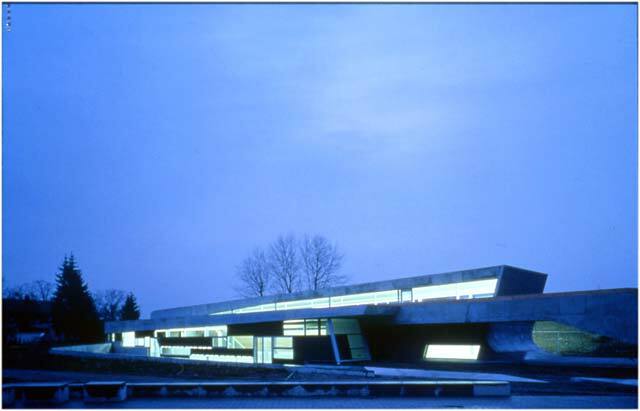 In 1993, the architect furthered her reputation with the construction of the Vitra fire station in Weil am Rhein, Germany, her first physically-realized project. 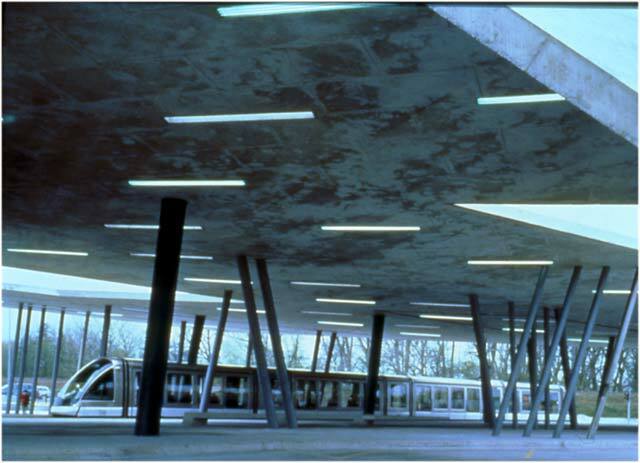 This small structure, which has been characterized as “frozen motion,” reflects Hadid’s frequent use of unusual shapes to integrate a building with its environment. 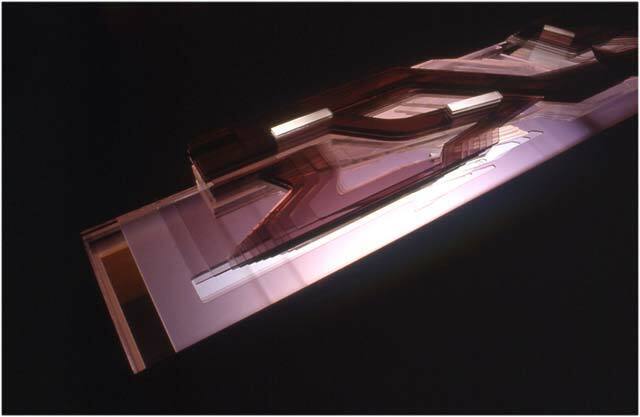 “Zaha Hadid Laboratory” was originated and produced by the Exhibitions Program at the Yale University School of Architecture in collaboration with Zaha Hadid Architects. 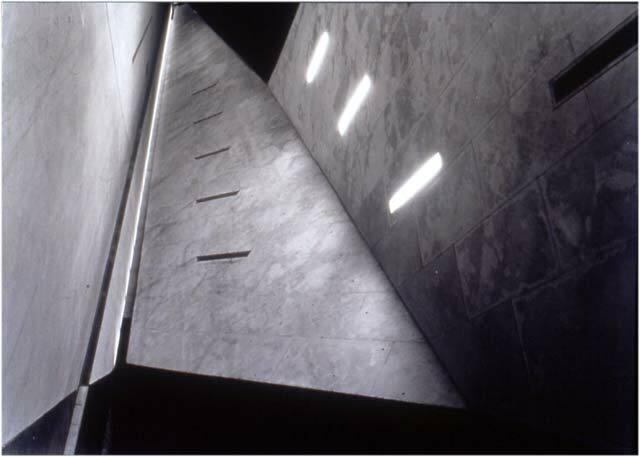 The exhibition was organized by Dean Sakamoto, Director of Exhibitions at the Yale School of Architecture, and was made possible by Autodesk, Inc; Carolyn Brody; Alexander C. Gorlin; Thomas A Kligerman; Gilbert P. Schafer III and the Elisha-Bolton Foundation, as well as Zaha Hadid Architects. Presentation of this exhibition at the National Building Museum is made possible by the Museum’s F. Stuart Fitzpatrick Memorial Exhibition Fund. The National Building Museum, created by an act of Congress in 1980, is a private, non-profit institution that examines and interprets American achievements in building through exhibitions, education programs, and publications. The Museum is developing a permanent exhibition, Building America, to explore quintessentially American aspects of our built environment.